The Reformation and Counter-Reformation, both well-intentioned, separated much of the Christian world from their heritage. The great Christian debates of the late middle ages were collapsed into a ridiculous dispute over faith and works. Christian festivals and popular culture were lost all over western Europe, as described by Phillip Jenkins in The Many Faces of Christ by Phillip Jenkinks. 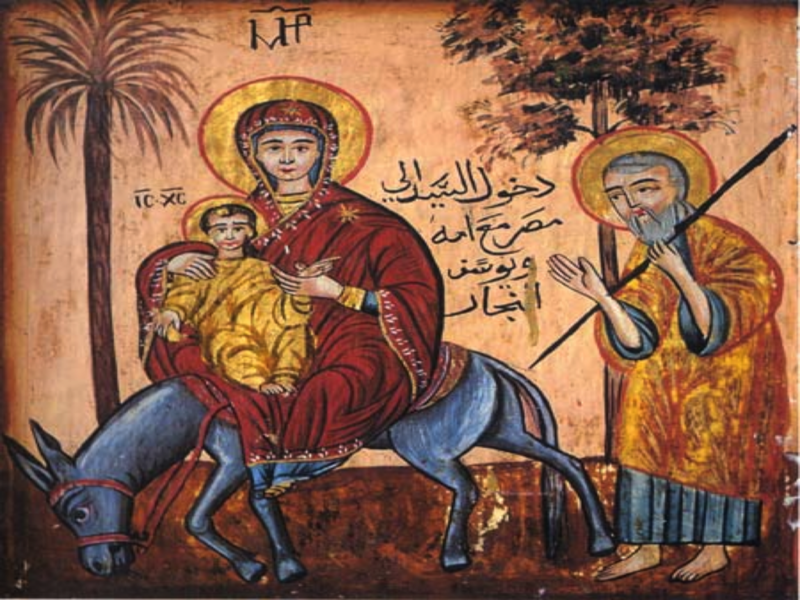 One such popular work, ironically most Central preserved in Islam, but still remembered in the Orthodox and Catholic traditions, is The Protoevangelium [First-Gospel] of James. I once called it “Joseph/Mary fan fiction.” That’s correct. But the Protoevangelium takes place before the Gospels. Really, it’s a prequel. Most Christian perspectives separate the Scriptures (that which was written down) and the Tradition (the guide to that which was written down, which itself was not written down). But it’s not always clear where one begins or one ends. Are the Catholic Deuterocanon, “Secondary” Scriptures like Tobit or Maccabees), part of the Scriptures or Tradition? What of prayers (like the Prayer of Mannasseh) and prayer-like works, such as 1 Enoch and 2 Esdras. Books in the above list are considered part of the Scriptures by at least some Christian traditions. The Protoevangelium is not considered Scripture by anyone. But it captures much of the Tradition of many Christians. The Protoevangelium is something like the script of a nativity play, or a pre-cinematic of Christian films like The Passion of the Christ. Indeed, like Passion, Protoevangelium was written in an explicitly Catholic tradition, takes the Faith seriously, but also incorporates other devout but non-canonical and even imaginary material. The Protoevangelium is to the Gospels what the Star Wars prequels were to the original trilogy. Like the Star Wars prequels, the Protoevangelium clearly takes place in the same “universe” as the Gospels and includes many of the same characters — to the point of implausibility. A problem with prequels in general is that if the characters really did have these adventures, why were they forgotten? This happened to the Jedi in Star Wars. In the original film, Luke can hardly believe that Jedi were real. But only two decades before the Jedi were a highly visible arm of the central government with a large office building in the capital and a prominent role in economic rule-making. Is it really credible that everyone forgot this — that the mere existence of a government agency — be forgotten in twenty years? How Did the Jedi Become Just A Myth in ‘Star Wars: The Force Awakens’? Why did everyone forget about the Jedi and Sith? How were the Jedi forgotten between episodes III & IV? Nineteen years is a short time to become a myth. How did Joseph’s staff become not even a myth in the Gospels? Why did everyone forget about Mary and Joseph? Why did Jerusalem apparently become a much larger city in 30 years? Therefore Saul sent messengers to Jesse, and said, “Send me your son David, who is with the sheep.” And Jesse took a donkey loaded with bread, a skin of wine, and a young goat, and sent them by his son David to Saul. But in Samuel this is an example of psychological realism: Saul’s mental decay has already gone, and is now accelerating as even loyal men, like Abner, no longer treat him like a competent actor. The priest’s forgetting of Mary and Joseph does not teach us a lesson though. It simply indicates Star Wars-quality writing. 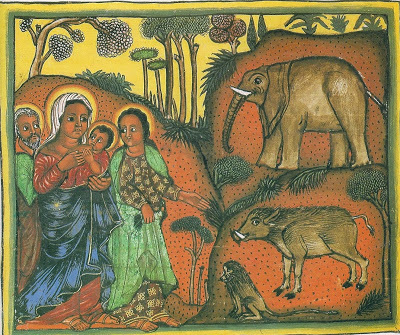 The Protoevangelium gives back-stories for numerous characters in the Gospels, including Mary, Joseph, and even minor characters. The story of uses Mary to parallel the life of Christ. Christ’s humanity is a vital part of the scriptures, and Christ’s shedding of blood is a lesson: God bleeds and suffers with men. Mary likewise is a woman and not some abstract platonic spirit, and herself the daughter of a real woman. Anna said, “My soul exalts this day.” And she put her baby to bed. 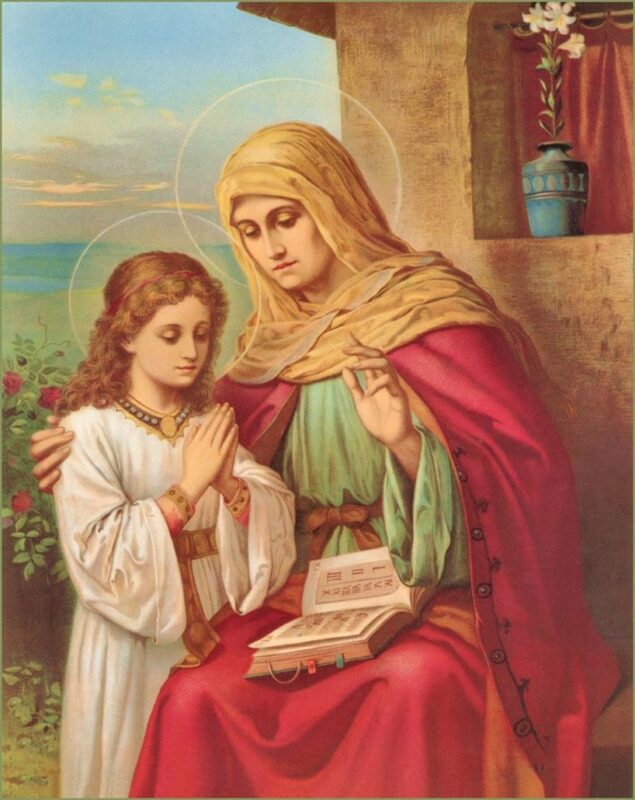 After her days were completed, Anna cleansed her menstrual flow and gave her breast to the child and gave her the name Mary. Day by day, the child grew stronger. When she was six months old, her mother set her on the ground to test whether she could stand. And after walking seven steps, she came to her mother’s breast. There are two obvious reasons for this. The first, the shocking claim that God was born of a woman, a claim that in much of the Muslim world can still get one killed, doubtless appealed to women. And the second, that Mary herself was a type of Christ, as is every mother. 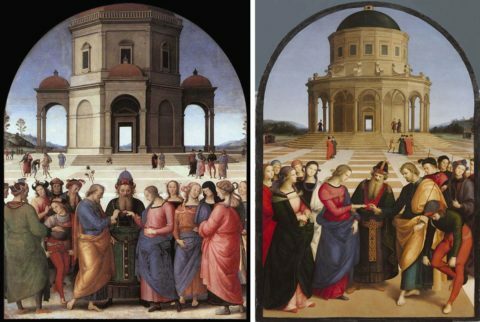 Joseph is specifically invited to be part of a Temple marry-a-virgin contest, and wins it by a miracle. No one in the Gospels ever mentions this, or thinks it relevant to events only a generation later. 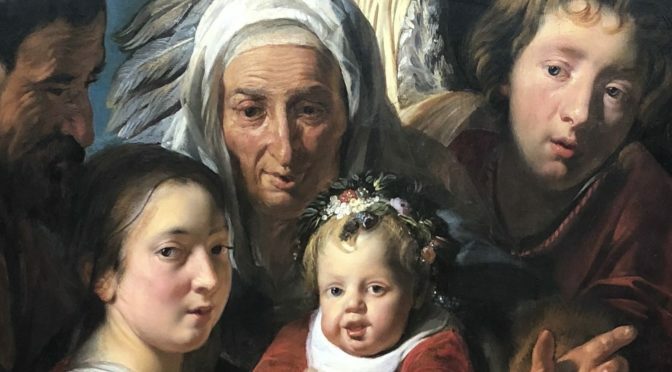 Joseph is a widower, and old man, and the perpetual chastity of the Holy Couple is explained and more plausible in that way. The Protoevangelium also dramatizes the confrontation between Joseph and Mary as the pregnancy becomes obvious. They are the second couple in this work, after Joachim and Anna, to be well textured. “After having been cared for by God, what have you done? Did you forget the Lord your God? Prequels often take place in small worlds, where characters who interacted in the original stories meet each other in different circumstances before. 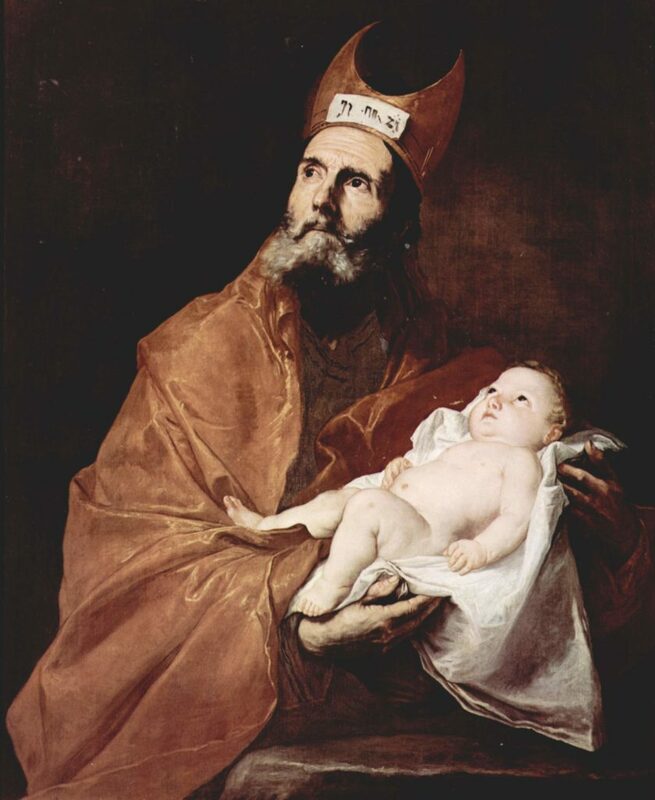 For example Simeon, mentioned in Luke’s gospel..
… turns out to have been the replacement for the father of John the Baptist! Then, after three days, the priests deliberated about who they should appoint to take the place of Zachariah. And the lot went to Simeon. For he was the one to whom it had been revealed by the Holy Spirit that he would not see death until he saw the messiah in the flesh. Very early in the morning, on the first day of the week, they came to the tomb when the sun had risen. And they said among themselves, “Who will roll away the stone from the door of the tomb for us?” But when they looked up, they saw that the stone had been rolled away—for it was very large. finds herself in the same situation, but for the newborn Christ! So Hannah arose after they had finished eating and drinking in Shiloh. Now Eli the priest was sitting on the seat by the doorpost of the tabernacle of the LORD. And she was in bitterness of soul, and prayed to the Lord and wept in anguish. Then, Joseph wandered, but he did not wander. And I looked up to the peak of the sky and saw it standing still and I looked up into the air. With utter astonishment I saw it, even the birds of the sky were not moving. And I looked at the ground and saw a bowl lying there and workers reclining. And their hands were in the bowl. And chewing, they were not chewing. And picking food up, they were not picking it up. And putting food in their mouths, they were not putting it in their mouths. Rather, all their faces were looking up. And I saw sheep being driven, but the sheep were standing still. And the shepherd lifted up his hand to strike them, but his hand remained above them. And I saw the rushing current of the river and I saw goats and their mouths resting in the water, but they were not drinking. And suddenly everything was replaced by the ordinary course of events. Eventually, the narrative resumes. The Joseph-narrated portions smoothly flow back into the standard third-person narration while talking about Salome, and by the end James is revealed to be the narrator. I, James, wrote this history when there was unrest in Jerusalem, at the time Herod died. I took myself into the desert until the unrest in Jerusalem ceased. All the while, I was glorifying God who gave me the wisdom to write this history. And grace will be with all who fear the Lord. I do not know what is happening here. 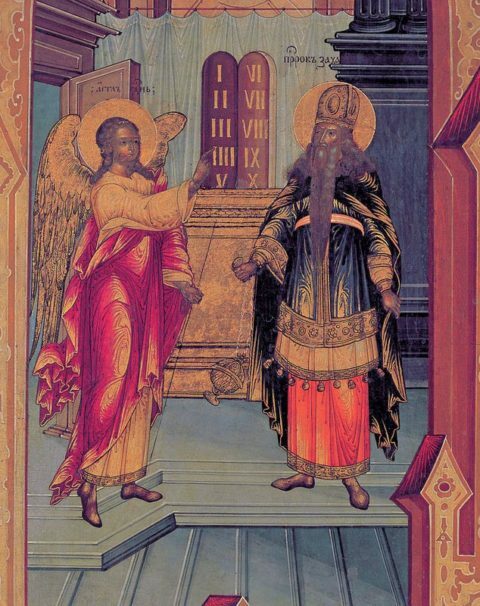 The Book of Ezekiel in particular breaks the reader’s expectations for dramatic effect, spiraling out from Jerusalem to Israel, the neighboring countries, and finally the trans-real Gog and Magog. But is this simply a case of pieced-together fragments that were recognized as such at the time? Is this why the Protoevangelium considered “not only to be rejected but also condemned” since A.D. 405? I don’t know. And the priest went in taking the vestment with twelve bells into the holy of holies and prayed about her. Suddenly, an angel of the Lord stood before him, saying, “Zachariah, Zachariah, depart from here and gather the widowers of the people and let each one carry a staff. And the one whom the Lord God points out with a sign, she will be his wife.” So the heralds went out to the whole surrounding area of Judea and the trumpet of the Lord rang out and all the men rushed in. The Catholic affection of the Protoevangelium is not as explicit but widespread. 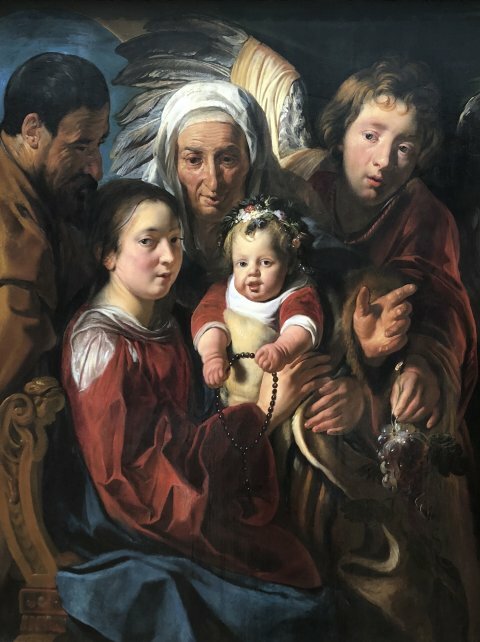 The names of Jesus’s grandparents, Anna and Joachim, come from this work. Much western art doesn’t make sense without it. The Protoevangelium is not to be classed with the Gnostic writings of old, which were products of heretical groups, claiming secret knowledge. On the other hand, as you note, we cannot elevate this work to the level of Sacred Scripture, as it has no guarantee of inerrancy. This early work reflects at least some ancient traditions, held by at least some substantial part of the early Church. 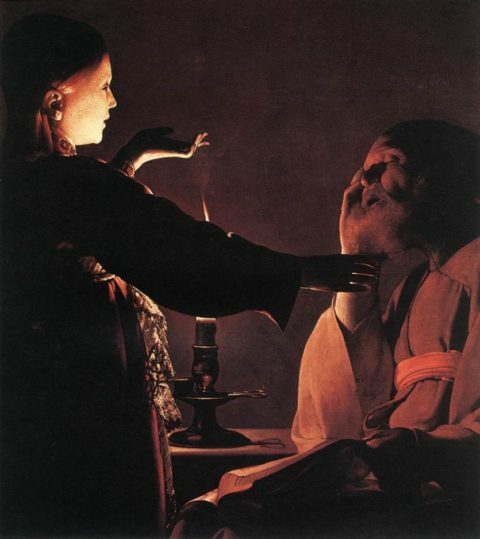 As to the general preference for the view that the “brothers” of the Lord are likely kinfolk, and not step-siblings from a previous marriage by Joseph, we have likely been strongly influenced by the Western Fathers, including Saint Jerome, who strongly dismissed the view that they were step-siblings. Saint Jerome had a great command of the ancient languages and customs, and while not an infallible source, is worth attending to. Is it Scripture? No. Is it infallible? No. Is it accurate in all its details? Probably not. Is it worthless? No. Does it preserve the earliest thoughts about the family life of Christ? Yes. Does it seem to be based on the early Church’s traditions? Yes. Is it the earliest coherent source on the Theotokos? Yes. The full text of the Protoevangelium‘ is available online. I read the Protoevangelium of James in the Kindle edition translated by James Orr.